Home >Comments and Articles > Dead Doctors Don't Lie! 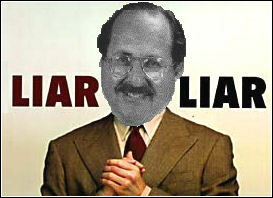 Joel Wallach is a veterinarian best known for selling a tape called "Dead Doctors Don't Lie!". The lies on this tape are used to promote Wallach's pyramid scheme to sell snake oil which cures everything from Alzheimer's Disease to Zambucca Overdose, or so it seems. Vet Wallach likes to refer to himself as a "physician", apparently on the basis that he has bought a degree in naturopathy from somewhere. Wallach does not like criticism, probably because he knows that his nonsense cannot stand up to any scrutiny. Wallach's Australian arm of his scheme has two web sites, with different content, hosted at different servers in different US states. The reason for this can be found in the dictionary under the head word "duplicity", and is done to place them outside the reach of Australian regulatory authorities. These sites advertise an ongoing Australian tour by Wallach's son and some other people, but the price (and the fact that you can book online through another offshore web site) suggests that the inconvenience of Australian Goods and Services Tax has been eliminated. This is not surprising, as tax avoidance seems consistent with the rest of Wallach's business "principles". As Wallach's multi-level distribution company would be required to be registered for GST and avoidance is treated seriously by the tax collectors, it is also not surprising to see that the page advertising the seminars includes the quaintly-worded disclaimer: "This is not a Australian Longevity event. Any damages, mistaking, refunds, and liable's are strictly the responsibility of the event provider(s) The above advertisement is for informational purposes only". There is one of these seminars near my place next weekend. If I go along they will be able to recognise me because I will be the person withholding 48.5% of the entry fee unless I am provided with the legally-required form of a tax invoice, complete with an Australian Business Number. That should get me thrown out. A couple of week ago I mentioned that a sleazebag called Joel Wallach had been touring Australia to attract more victims to his multi-level scheme to sell quack medicines. Wallach is famous for a tape called "Dead Doctors Don't Lie" in which he makes ludicrous claims which have been disproved many times. I saw Wallach on a television show which had filmed one of his talks, including the expulsion of a man named Stuart Adams. Mr Adams has developed a web site which comprehensively addresses the various claims made by Wallach in his tape and speeches, but Wallach does not like criticism and there has been a constant campaign of harassment against Mr Adams since the television show. One tactic was to serve him on a Saturday with a summons to appear in court at 9:30am on the following Monday, giving him no time to find and brief a lawyer of his own. Someone with access to the email addresses of all of Wallach's distributors in Australia had sent out a spam mentioning Stuart Adams' web site, and Wallach's lawyers said that this must have been Adams himself and wanted to seize his web site. I leave it up to your imagination to think of who could possibly have access to a complete list of Wallach distributors and would want to use this list to disparage Stuart Adams, but I don't think it would be Mr Adams himself. When they couldn't get him to close his web site, they demanded that he remove an image which they said infringed Wallach's copyright. Like that other now-dead and not lamented multi-level operator, Nutrition for Life, they were using a false appeal to intellectual property law to suppress criticism because arguing the facts was not possible for them and because they thought that bullying would work. You can see the "copyright" image below. I acknowledge that the image is an original creation of Stuart Adams and that he therefore holds the copyright on the image, but I am sure he will not be dragging me into court to have it removed from this site. Subject: Why the angry attack on Wallach? Perhaps because he's a fraud, a liar and a crook who can't back up what he says and has to resort to lawyers to silence critics. Subject: RE: Why the angry attack on Wallach? Peter, Interesting but certainly not a universal conclusion. The doctors gave up on me and I began to follow Wallach's advise and began taking his products and I went from deaths door to losing 80 pounds and walking 2 miles a day. My wife's bones are regenerating after two failed operations and her pain is finally going away after doctors told her she would be in a wheel chair. My staff a KCAA Radio is sold on the products and they take them religiously. I have over 1000 customers who buy these products each month. Wallach is almost 75 years old and when I saw him last, he looked like a man in his early 60s and he works 14 hour days.